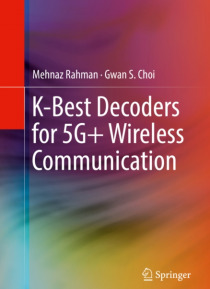 This book discusses new, efficient and hardware realizable algorithms that can attain the performance of beyond 5G wireless communication. The authors explain topics gradually, stepping from basic MIMO detection to optimized schemes for both hard and soft domain MIMO detection and also to the feasible VLSI implementation, scalable to any MIMO configuration (including massive MIMO, used in satellit… e/space communication). The techniques described in this book enable readers to implement real designs, with reduced computational complexity and improved performance.